Little Jingle Beans can make your child’s dream come true by having their favorite Red Smiley Friend be a part of their party. From Toronto to Burlington, our range of mascot party packages allows you to mix and match and get exactly what you want for your perfect Red Smiley Friend party. Our big red cuddly friend will promptly arrive with his helper, ready to greet the birthday child and all of their special guests with big warm and fuzzy hugs. The pair will engage the group in a special “movin' and groovin'” dance to some of their favorite Sesame tunes! Your party host will gather the children in a circle on the parachute and introduce some instruments for a musical parade and a game Follow the Leader. Elmo will assist in taking the little ones for a ride; shaking, flying and going under the parachute. Activities include: a freeze dance, dancing with ribbons and a Sesame scavenger hunt. The party will end with the singing of Happy Birthday and posing for photos. 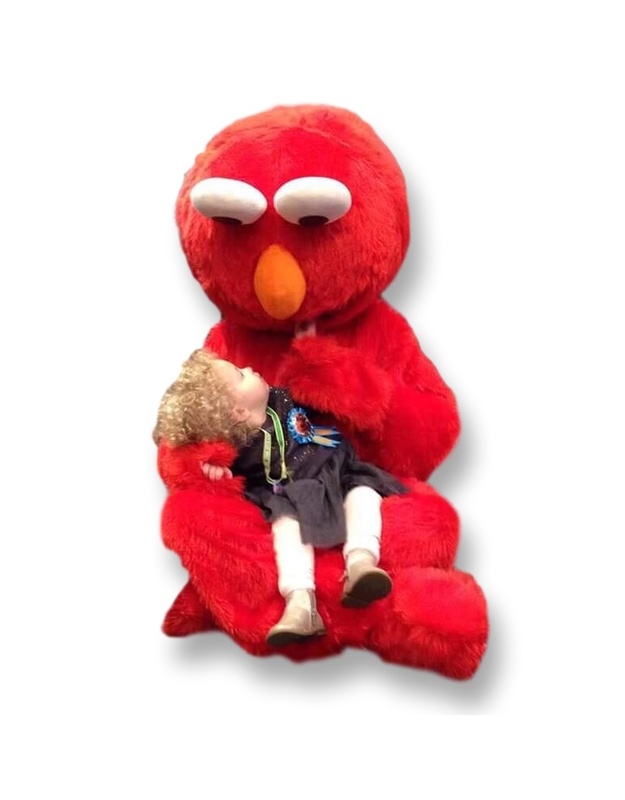 The birthday child will also be presented with a special gift from Elmo himself. *Face paint stencils will be provided during picture time with the big red guy.